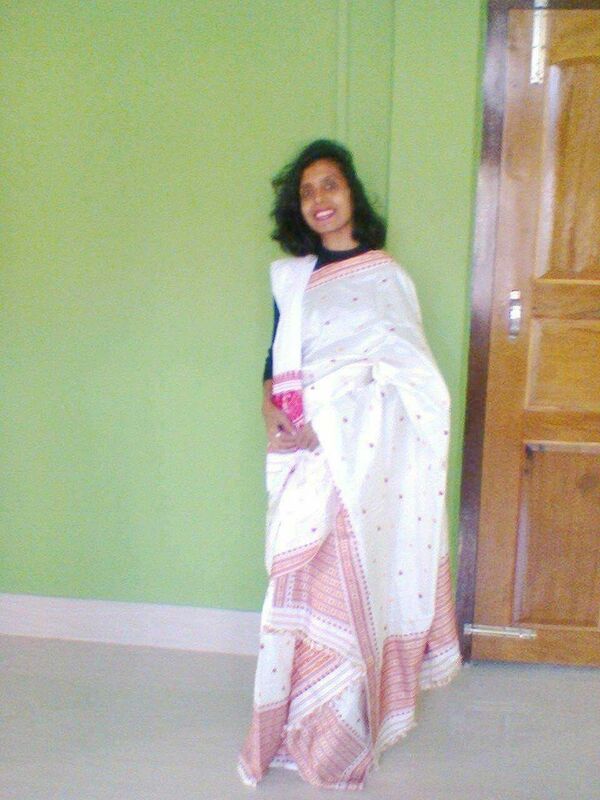 Being an Indian , ethnic wear very close to my heart. 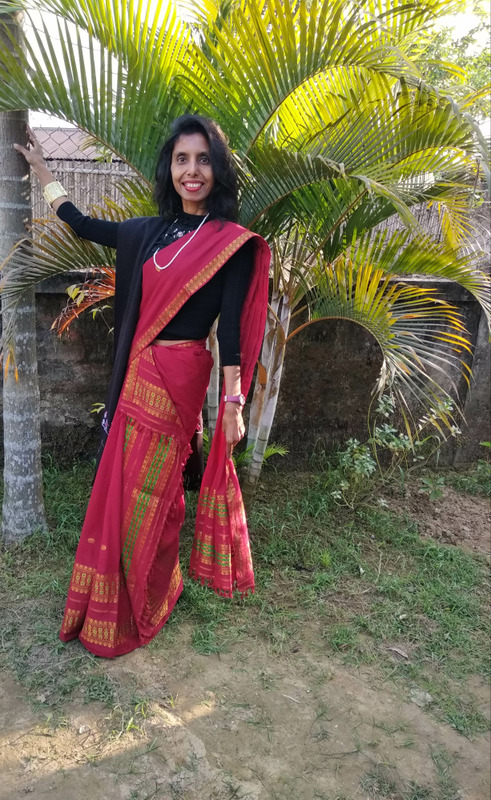 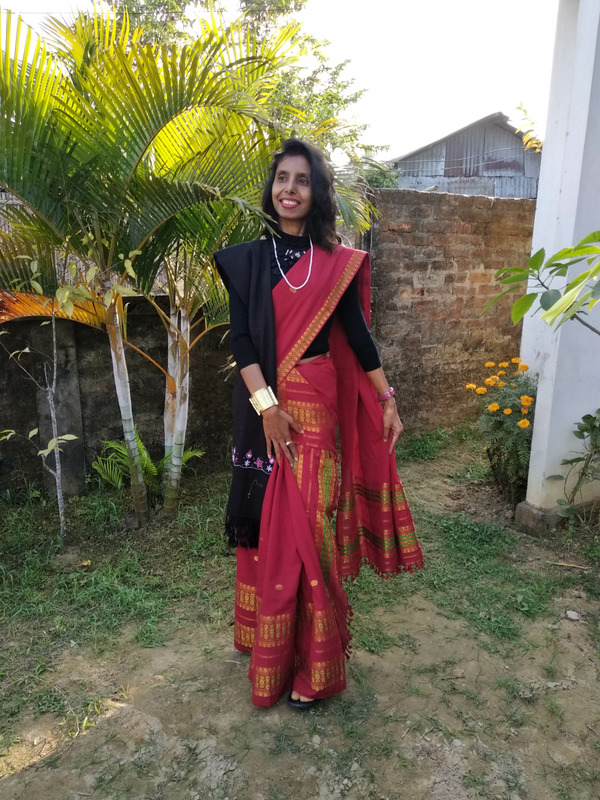 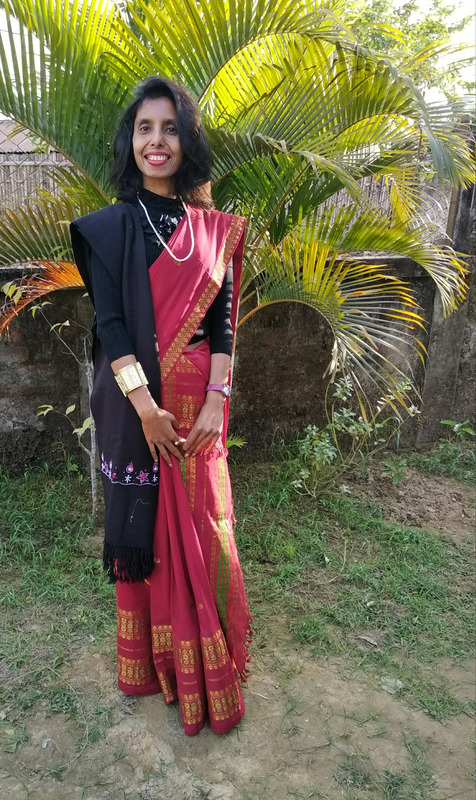 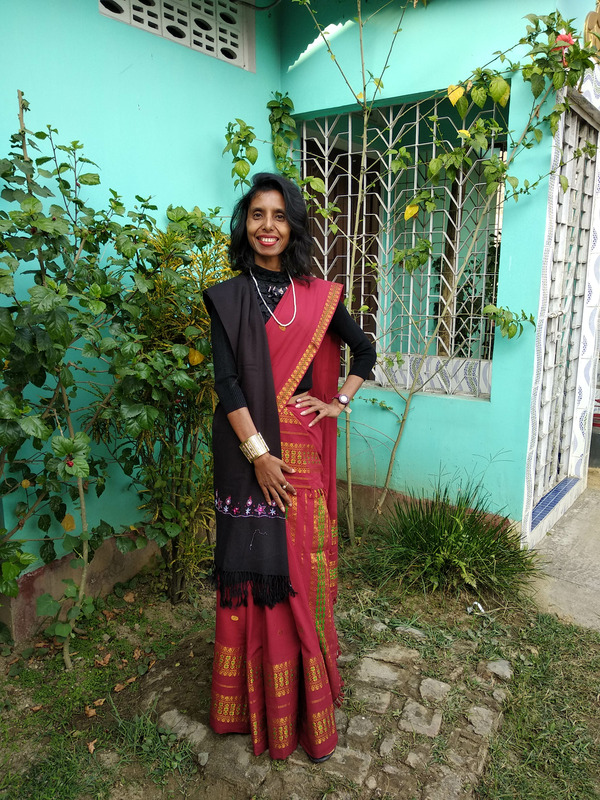 So for attending a party in winter, Iam trying to create a ethnic style with wearing red printed mekhela chador( a traditional dress of Assam) , a long sleeved woollen black blouse .a black printed shawl folded and draped along side to go along with it. 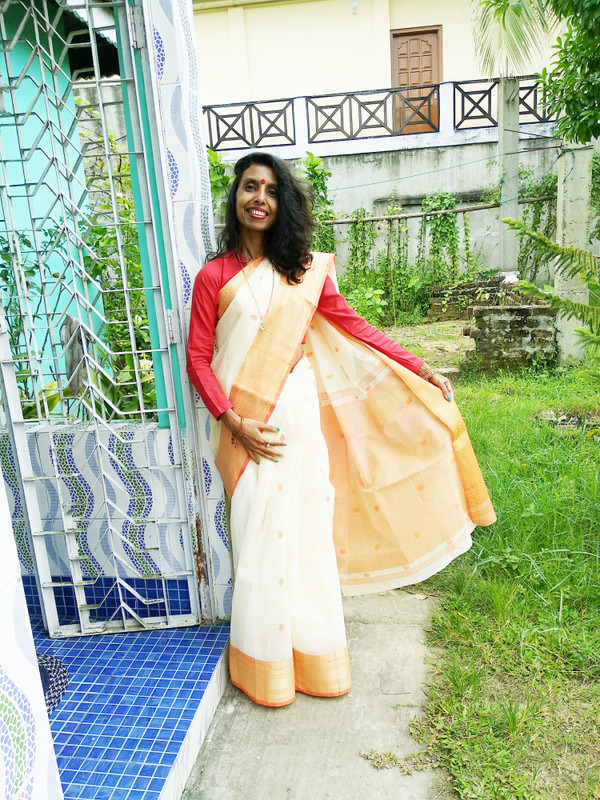 A beaded white chain on the neck and a gamkharu at the wrist. 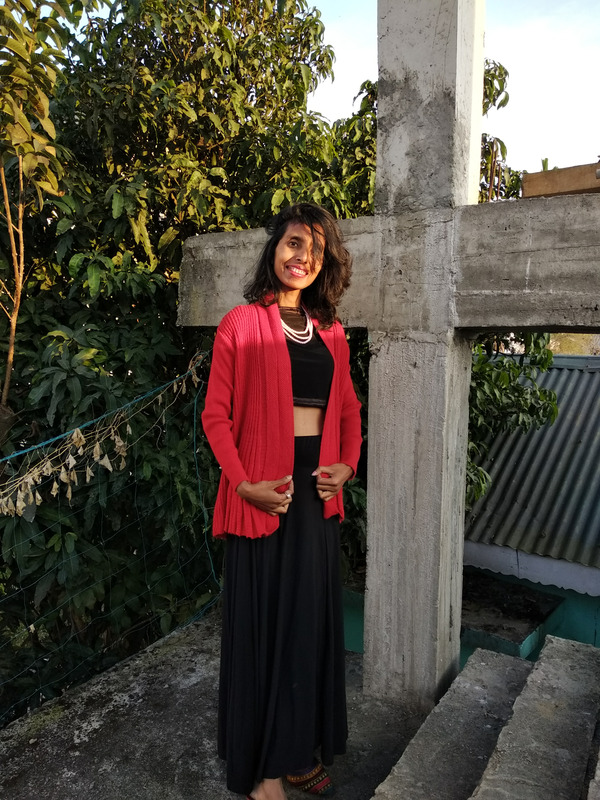 A nice combination to be worn during the winter days .a new hair style is also added to look more fashionable and classy.